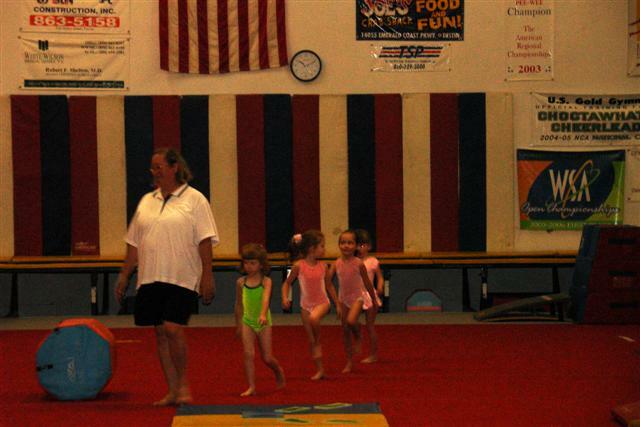 Jacey’s PreK gymnastics class had their end of year sports festival today. It is so cool to watch how she has grown from this munchkin scared to death of the beam to being confident in every event so far. She’s not perfect but she tries really hard and Coach Chris thinks she will one day be a great gymnast because she is very deliberate. They even earned a trophy so that definitely made her day. She continues with this class over the summer and then moves up to the recreational gymnastics program and will be on the Red Squad even though she won’t be 5 yet. She looks like she’s having a lot of fun! How sweet!! you must be a very proud mommy!! Oh wow, the memories that came rushing back to me as I watched your daughters video. I did gymnastics for 10 yrs, and started out just as younge as her. Stick with it kiddo! I wish I had did it for a longer period of time.